- Stops water & removes solid contamination. - Range is available of primary, secondary and final filtration. Our organization is well known in the market for providing a broad assortment of Fuel Filter Element to our clients. These products are manufactured using quality tested components. As per the assorted requirements and desires of our clients, we are providing a finest quality of Oil Fuel Filter Elements at very inexpensive price. 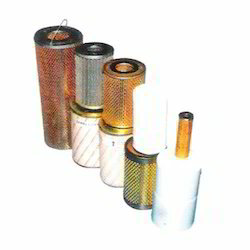 We are well reputed Manufacturer and Exporter of Fuel Filter Element. The Fuel Filter Element is made from high grade components. Our sophisticated infrastructure helps us in producing Fuel Filter Element that is in match with high quality standards. 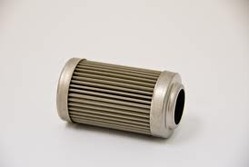 The Fuel Filter Element can be procured at market leading prices from us. - Fleetguard's Fuel filtration system offers finest protection for an engine's Fuel System and reduced operating cost. Apart from fuel filters Fleetguard also offers fuel/water separators and fuel filtration units designed exclusively for electronic engines. Fleetguards fuel filtration system offers protection for an engine's fuel system and reduced operating cost. Apart from fuel filters fleetguard also offers fuel/water seperators and fuel filtration units designed exclusively for electronic engines. We are one the foremost organizations involved in manufacturing and supplying of Diesel Engine Fuel Filter Elements. These cleaner elements are made from high quality raw material. They are known for their durability and sturdiness. We deliver air cleaners in different shapes and sizes.